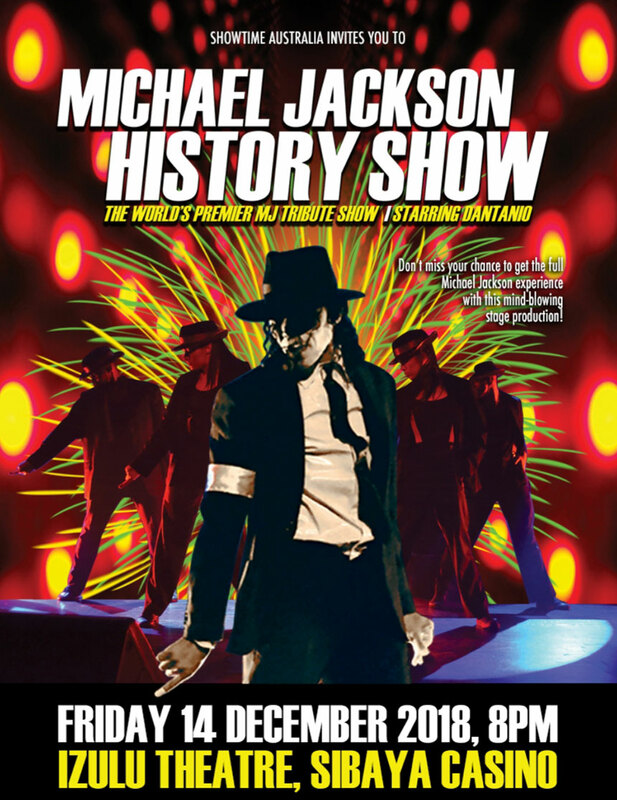 Michael Jackson HIStory Show, a world-renown two-hour musical experience, takes audiences on a musical journey back to MJ’s days as a member of the Jackson 5, his ground-breaking theatrics in the 80s and his continued reign as the King of Pop into the 21st century. Would you like to be at the Official Opening Night performance of Michael Jackson HIStory Show, starring Johannesburg-born singer and entertainer Dantanio Goodman on at Izulu Theatre at Sibaya Casino, taking place on Friday 14 December at 20:00pm? I am giving away 10 Double tickets away to 10 lucky readers All you have to do is visit my Instagram and Facebook page and enter the competition by tagging the person you would like to take with you. Winners will be announced on Thursday the 13th of December and tickets can be collected at the Theatre on Friday the 14th of December. Competition is open to people living in Durban and who can make the show. Don’t forget to LIKE, COMMENT & SHARE!